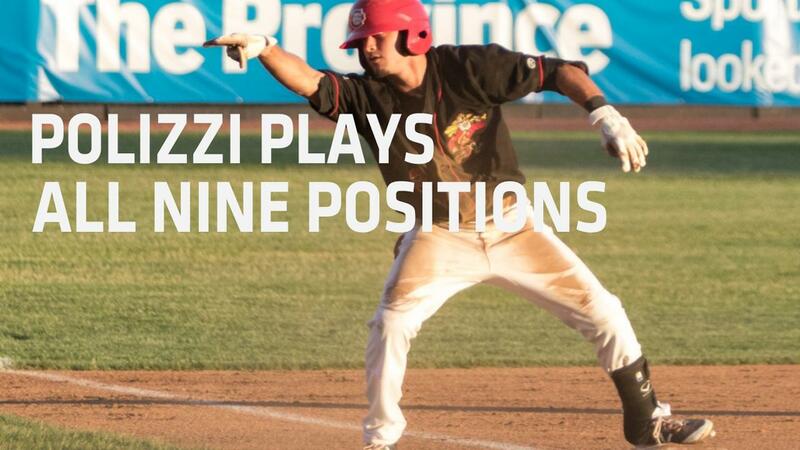 (Avista Stadium - Spokane, WA) - Canadians utility man Brandon Polizzi took his role to a new level on Monday night as "Mr. August" played all nine defensive positions helping Vancouver to a 7-4 victory to wrap up the 2018 regular season. The win puts Vancouver (21-17) just one game back of Spokane for the second half pennant as the Indians (22-16) opens up the post-season in Everett on Wednesday night. Vancouver also missed out on the first-half pennant by just one game and ended the season with the best record (40-36) of all four teams in the North Division, yet miss the post-season. Vancouver sent seven pitchers to the mound in the season finale with RHP Joey Murray (1-1) finally picking up his 1st professional win of the season after going two scoreless innings while striking out three. RHP Joey Pulido finishes his season with an ERA of 0.00 after throwing a scoreless 6th inning. Pulido made 13 appearances for Vancouver and becomes the first pitcher since RHP Paul Smyth (2009) to go 20 or more innings and record an ERA of 0.00 for the Canadians. The Canadians pounded out 13 hits against seven Spokane arms with CF Hunter Steinmetz recording a 3-for-5 night with a pair of hard hit doubles. DH Yorman Rodriguez (2-for-4), 3B Sterling Guzman (2-for-4) and SS Jesus Severino (3-for-5) also had multi-hit nights for Vancouver. The story of the night was Brandon Polizzi who played all nine defensive positions for the C's starting with (by inning), second base, shortstop, third base, left field, center field, right field, first base pitcher and then catcher. With two outs in the 7th inning, Canadians pitching coach Jim Czajkowski came to the mound and relieved RHP Denis Diaz with Polizzi who was playing first base. Polizzi needed one pitch to get Spokane C Scott Kapers to pop out ending the inning. Polizzi's 73-mph fastball broke Kapers bat in the process. 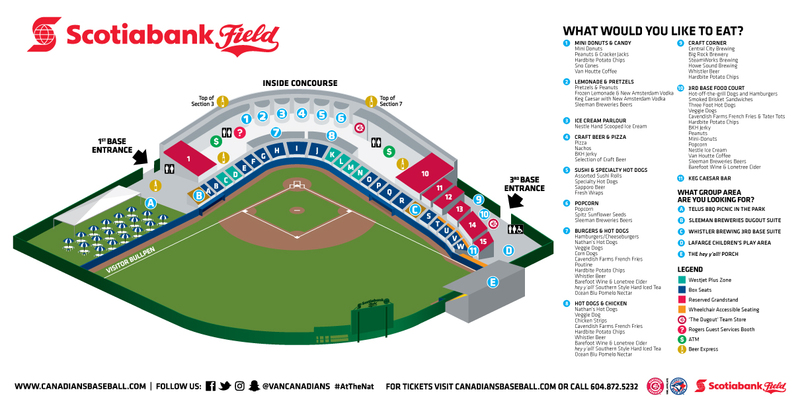 Vancouver finishes the 2018 season with a North Division best record of 40-36 (.526) and welcomed more than 239,000 fans out to Scotiabank Field for a second straight summer. The Vancouver Canadians Baseball Club wishes Eugene, Everett, Hillsboro and Spokane safe travels during the 2018 Northwest League Post-Season and also congratulates Boise, Salem-Keizer and Tri-City on wonderful seasons both on and off the field.